Join in for World Amateur Radio Day, the IARU worldwide operating event that celebrates ham radio’s global community. As is well known to all, World Amateur Radio Day (WARD) is celebrated every April 18 to commemorate the 1925 creation of the International Amateur Radio Union (IARU) in Paris, France. The IARU’s job is to watch over the interests of the Amateur Radio community around the world. 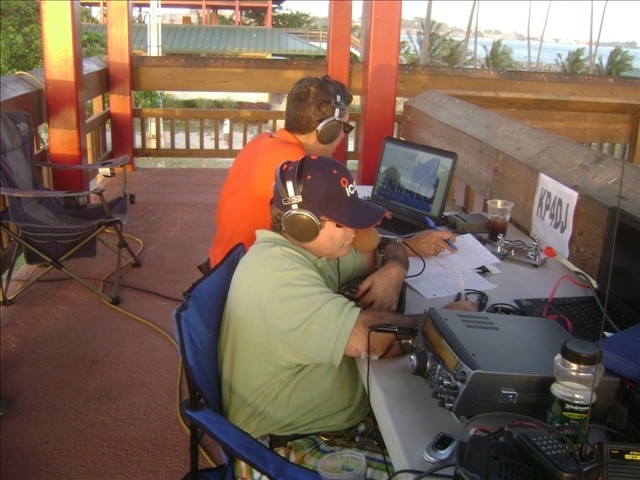 Each year WARD has a different theme and in 2014 the theme is “Amateur Radio: Your Gateway to Wireless Communication.” Each of the 150 countries in the IARU has a Member Society — in the US it’s the ARRL®— and many clubs associated with the various Member Societies get on the air with special event stations to celebrate this day. When I participated in WARD 2007 I wondered why there was so little WARD activity in the United States. Most of the stations on the air that day came from Europe and Central America. A few months later, the US Islands Awards Program was extended to include US territorial islands. At that time only seven islands (Puerto Rico and six other offshore islands) were listed. 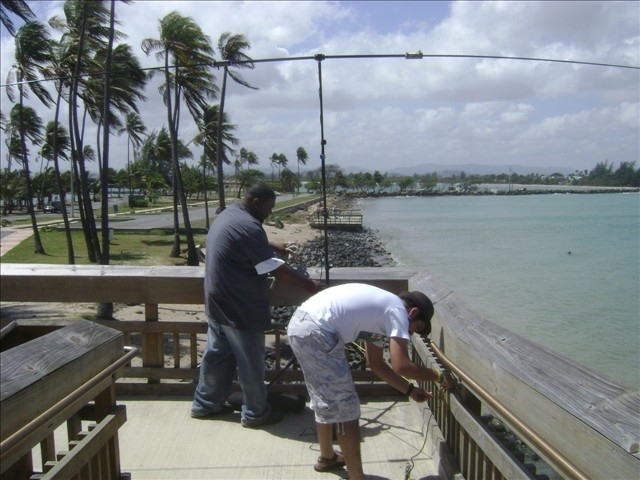 Puerto Rico, being a US territory, is represented by the ARRL and is a Section belonging to the Southeastern Division. I realized there were more and submitted a few candidates, of which six were added to the list. When my second group of islands was accepted, I had a thought; why not do a two-for-one event? My idea was to activate one of Puerto Rico’s offshore islands for WARD 2008. In this way we would not only bring WARD activity to the US but also qualify the island for the US Islands Award program. As March 2008 was rapidly approaching, we had to choose an island to activate. Our first choice was Old San Juan, which is an islet with easy access from San Juan proper. 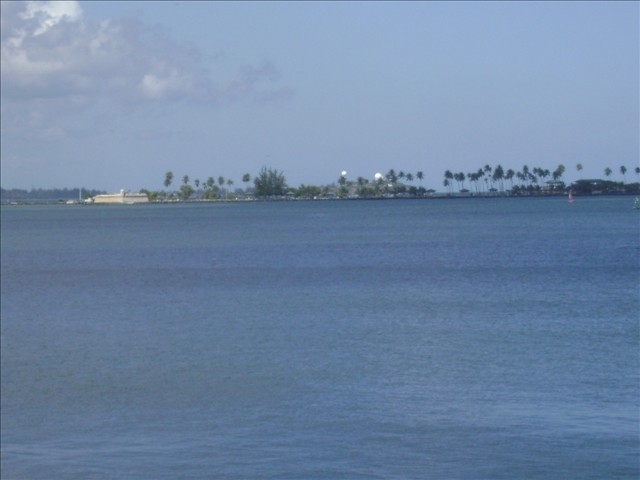 However, a few friends were interested in activating Isla de Cabras, which is a few miles west of San Juan and is easily accessible via a causeway. My friend Edgar, NP4EG, contacted the Compañia de Parques Nacionales de Puerto Rico (the branch of the Puerto Rican government that manages Puerto Rico’s parks and recreational areas) to see if it was possible. Edgar spoke with Amaris Sánchez, who was the park service’s marketing officer at the time. Her main concern was for the antennas. I decided to go to the office in person to speak to Ms Sánchez, who asked if the operation would require that the antennas be installed the day before. I assured her that all the antennas would be installed and removed the same day. With that clarified, she directed us to the Isla de Cabras Park Director Eric Calcaño. He offered us a wooden observation walkway where we could mount equipment and antennas. With our operating location secured, we had a meeting on April 12 in a restaurant in Bayamón, with friends Danny, WP4F; José, NP3FM; Alexis, WP3ZN; Uris, WP4NSF; Héctor, WP3ZZ; Aris, WP4DX, and Roberto Jimenez, KP4AC, who was our section manager at that time, to outline the special event. We also began our public relations activities disseminating information on the special event operation to different Internet outlets and local reflectors. We even had a TV spot in a midday newscast on local Channel 11. Then came April 18, 2008, a Friday. We got to Isla de Cabras at about 1300Z and began to set up tables and erect antennas. We had a Hy-Gain vertical for 10 – 80 meters, a Buddipole, Kenwood TS-2000 and Icom IC-706MKII transceivers for HF, and a Kenwood TH-D7 for 2 meters. The operation began at 1420Z using the call KP4DJ. We started operating using CW. Later we added SSB and during the afternoon I activated several 2 meter repeaters for those local KP4s who wanted to participate. We were even able to contact W1AW thanks to Otis, NP4G, who was at HQ on operation day. Also operating the special event were Héctor, NP4FW; Ruben, WP4NEG; Tony, KP4IA, and Jimmy, KP3BR, as well as other Puerto Rican hams who dropped by, and a few non-hams who saw the news report and wanted to learn more about Amateur Radio. 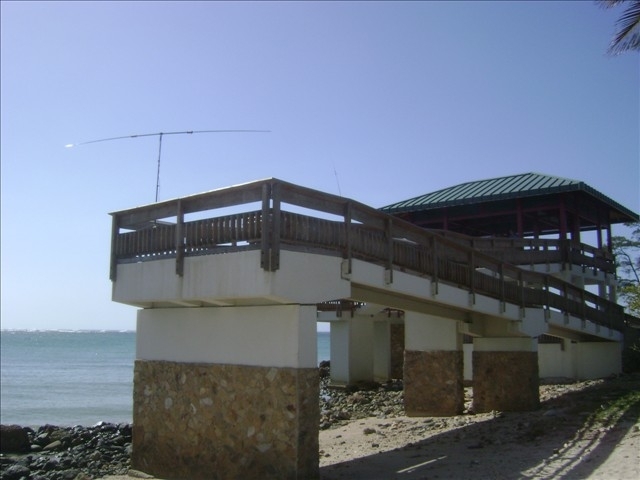 When we went off the air, we had more than 500 contacts, which meant that we accomplished our two goals, that is, to qualify Isla de Cabras, PR012S, for the US Islands Award program, and most important of all, to be part of the worldwide celebration of World Amateur Radio Day. All of our contacts received a special QSL card that was created to confirm the event. The event was talked about for a while, demonstrating also that a special event can be done on weekdays. Since our activation, other local clubs have activated for WARD and we did another WARD activation using the call KP4FD. We liked that second site so much that we went back in June for Field Day. 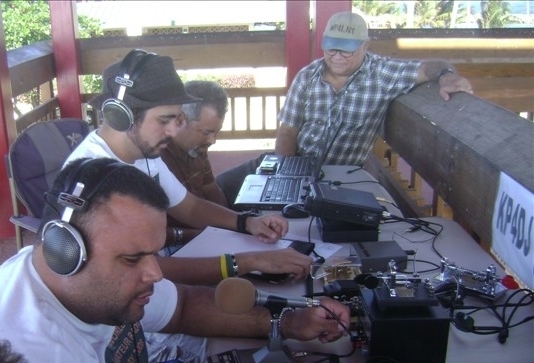 Through these efforts we hope to make World Amateur Radio Day a popular on-air event here in Puerto Rico. There is also a feeling of pride to be, up to now, the only place in the US representing the nation and the ARRL on this special day. I’m hoping that this story will make others aware of the special significance to Amateur Radio this day has. That it will motivate more American hams to get on the air, check out the cluster, and try to work those special event stations that come on the air on April 18 each year. Talk to your club and operate your own special event station and with each contact remind our other fellow hams about World Amateur Radio Day! We have to recognize the ARRL for its efforts to promote World Amateur Radio Day. So consider joining in this year in honor of the ARRL Centennial. KP4FD will be on the air on Friday April 18, 2014 and we hope to get you in our log. 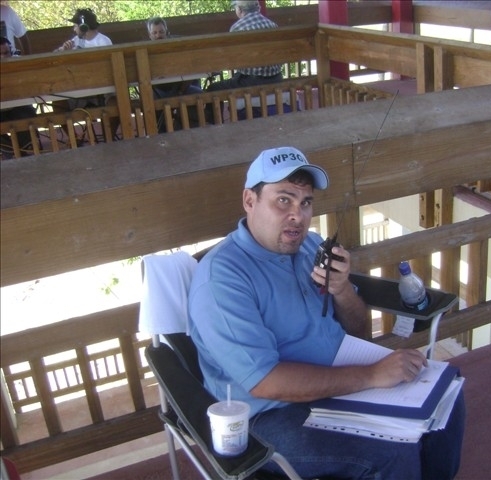 Ángel Santana, WP3GW, is currently the public information coordinator for the ARRL Puerto Rico Section and winner of the 2011 Philip J. McGan Memorial Silver Antenna Award, which is given to the ham who does an exceptional job bringing Amateur Radio into the public eye. 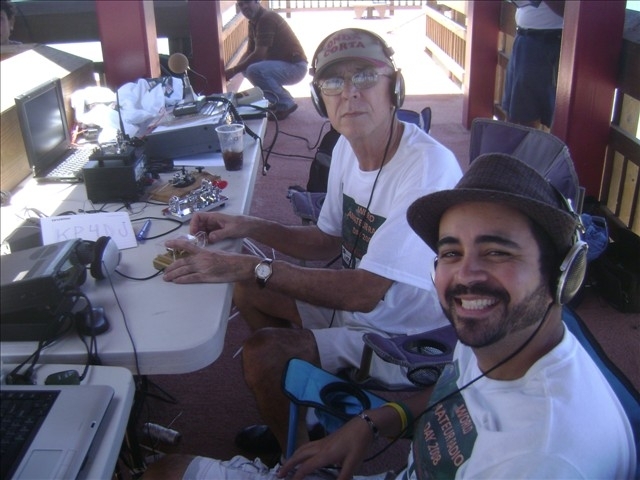 Ángel can be reached at 221C Calle 6 Parc Saint Just, Trujillo Alto, PR 00976-2915, wp3gw@arrl.net.